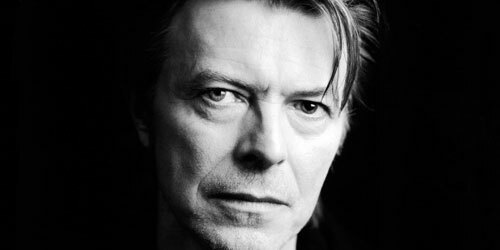 THE FUSS IS THIS: Woo-hoo, here we are, wondering about just where the hell is Bowie these days, MIA for close to a decade - and like the proverbial magician, welcome back to ground control Major Dave! Great to have you with us mere mortals again. Quite frankly, we've missed you immensely. Where indeed, are we now? Entertain this thought if you will: possibly this long silence has not been an accident? Just maybe it was a carefully crafted exit from public life which conceivably served a vast multitude of fulfilling purposes? A much needed mental health break from the rigors of being a fulltime rock icon, time to reflect upon his significant successes during his lengthy career as a musical & fashion innovator? Maybe the creative well which he dug from so effortlessly over the years finally reached a point where it had ceased to function like it used to back in the days of old. Certainly, he navigated rocky waters in the mid eighties, a period though where many other contemporaries were also sailing the same passage of musical calms, a vast flat area from whence the light to shine on them wasn't - nor was there any vague signs of a rescue ship within range to tow them back to ports of life. Nope, well and truly adrift, floating, drifting, existing, so far out of range from the comforts of familiarity. Inspiration is the most vital tool for a creative person. Without it, you really have only two viable options. A) Surrender to your missing muse - and do what you can. What it creates is totally up to the individual. Or, B) Take a deep breath, step back and smell the roses. Go for long walks. maybe just do normal people stuff like housework, shopping for essentials, live a relatively quiet existence as best you can. When your ready to resume your coveted role as a creative artist with talent to burn, you appear when it jolly well suits you. Not a moment sooner. March to your drum, don't attempt to work with other beats. It was Neil Youngs 'modus operandi' for significant chunks of that decade. After the silence, what is the noise you bring today? That would be the stunning new song titled "Where Are We Now?" (On your birthday! Nice touch. Timing is, as always, everything). One listen and I can confirm the following statement. A Masterpiece of melancholy magic, harking back to that treasured period - The "Berlin Trilogy". Haunting video btw. Rate it as great as many of yours previous vids. Naturally, there's more to come in the shape of a long player entitled "The Next Day" (FYI, album number 30 - for those that still care about this detail) to be released, sadly - not tomorrow (Easy tigers! One small step for Dave, one giant leap of trust for us incumbent fans!) due in - insert here 'whatever format suits you best' - a 'store' from 8th March. This year no less! It can't come soon enough. It will be, worth the wait. I'm sure. Pretty sure Bowies sure as well. Your sure as well - right ??? It aint easy being you, but its hunky dory for us to have you back again, doing what you do best.